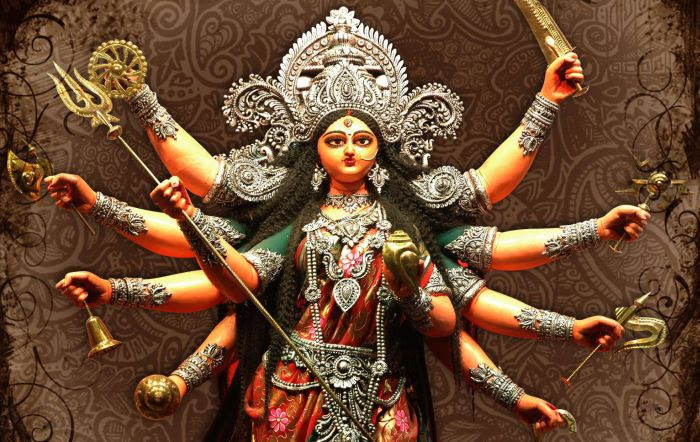 Chandi is an extremely furious and compelling manifestation of Goddess Durga and is the primordial vitality in charge of creation, sustenance and annihilation of the whole universe. The Chandi homam is offered to Goddess Durga and helps in clearing deterrents and obstacles in the path to success. Performing the Chandi Homa during Navaratri lightens the impact of evil eye casting, curses and obstacles. • Conquer evil energies & achieve success in all tasks. • Removes malefic effects of planets, especially Rahu and Ketu. • Helps achieve victory over enemies, gives strength, wealth and removes threats, danger. • Grants success in court cases and all other complicated issues. • All types of black magic or other doshas are thwarted. Rajarajeshwari Temple Puja - The Rajarajeshwari Amman temple in Chennai is one of the dwellings of the powerful form of the universal mother. She blesses all living beings whether animate or inanimate with abundance and controls their mind and sensory organs. A Puja in her temple blesses you with abundance and glory by fulfilling all desires. Koothanur Saraswathi Temple Puja - This is the only temple in the entire Tamilnadu dedicated to Goddess Saraswathi. Navratri is celebrated with great fervour in this temple.Devotees worshipping here are gifted with the boon of knowledge and wisdom. A puja in this temple clears problems related to employment, business & career.